Imagine this – you’re having a nice dinner with your friends at a restaurant, until someone trips a hand over your wine and spoils your perfectly white outfit. We’ve all been there, and there’s nothing like a stain of wine on your white shirt to ruin your day. Even worse, those stains are hard to get rid of even with the most expensive products. So, what can you do? Today we’re going to show you a few simple tricks which will clean the stains easily and make your clothes pearly white again. There are numerous chemical detergents for removing stains, but they are not so effective against this kind of stains and are also very expensive. A spot of food, wine or sweat can be very hard to get rid of, especially if it’s on a special kind of fabric. 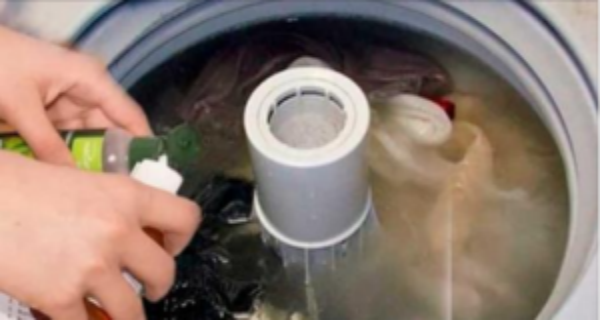 But, don’t worry no more – the tricks we have for you today will clean your clothes easily and effectively. The homemade tricks we’re about to show you have been tried and tested many times and have performed great. Once you try them, you will never be worried about another stain on your clothes. Just follow the instructions below and you’ll be able to get rid of that ancient wine stain for good. Soak your stained clothes in a mixture of 4 l. of water and a cup of baking soda, and you will notice how it restores the garment’s natural color in just a few minutes. This is another great mixture for clothing stains – just mix some lemon and vinegar with your favorite detergent and wash your clothes as usual. Although the mixture smells a bit strong, it will quickly eliminate the stains. Crush 6 aspirin pills and add them to a bowl of water, then soak your stained clothes in the mixture for 30 minutes. Wash them as usual in the end and the stain should be gone. Lemon juice is an effective natural bleacher which will whiten your clothes in no time. Add a cup of lemon juice in your washing machine along with the detergent, then wash your clothes and let them dry in the sun – they should be whiter than ever! So, the next time you spill wine on your favorite shirt, don’t throw it away. Try any of these amazing tricks and your clothes will be pearly white again!